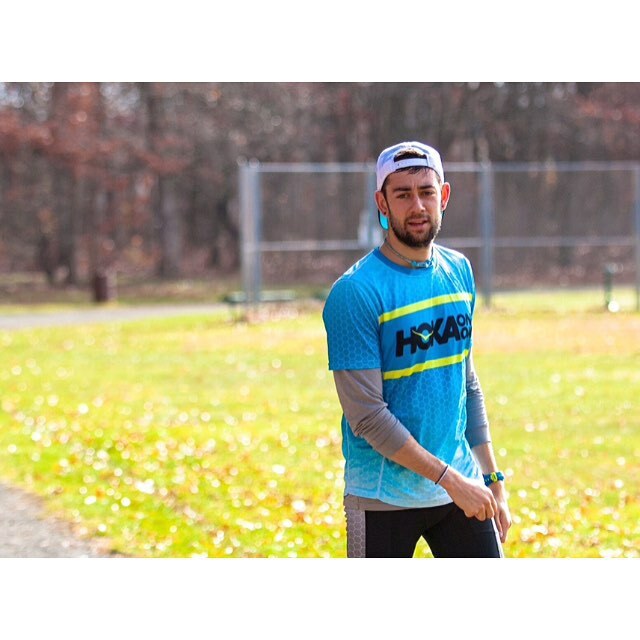 I am a professional runner for Hoka One One and the New Jersey*New York Track Club. My specialty is the 1500 and the mile, with personal bests of 3:34 and 3:54, as well as the World Record holder as a member of the Distance Medley Relay. I was born on Long Island, graduated from Columbia University in the City of New York, and now live and train in New Jersey. Now my days are spent training hard in the mornings, and recovering hard in the evenings, as I chase the dream of making the 2016 Olympics in Rio. My life is centered around my run each day. When I wake up in the morning, putting on my shoes is me ‘going to work.’ While I love competing professionally, my greatest joy is simply being out on the trails for an easy run. The city is controlled chaos and there’s nothing more peaceful than to be lost in it. Whether it’s music on the subway, or the solitude of Central Park—seeing the world move so fast around me, yet being aloof to its pull is strangely calming. Runners are fantastic people. Now just because someone is a runner doesn’t AUTOMATICALLY make them likable, but it certainly helps. It’s so easy to identify with another like minded individual who you know has shared in the experience of my favorite thing. That makes for fluid conversations, and fun miles. On the run, I keep it simple. Just a watch to tell the time, but no GPS or headphones for music. My legs are a pretty good pedometer at this point, and I can figure out about how far I went with the knowledge of some experience. Unfortunately injuries are part of the sport. They happen to everyone, although it’s easy to not think you’re the only person in the world who has ever felt the misery when caught in the midst of one. The important thing is listening to your body and going when it says to go, and stopping when it won’t let you push. The biggest achievements are had on those days in practice that are cold, wet and miserable. You have to ask yourself the question of whether not it is worth it then, and if you give the correct answer, then you’ll hopefully have some medals and personal bests to show for it. My goal is to try and figure it out. I want to know how good I can be, and I am going to keep chugging away at this thing until that progress stops. But each year I get a little bit wiser and feel like I am understanding it better and better. And then it all falls apart and I have to start over. 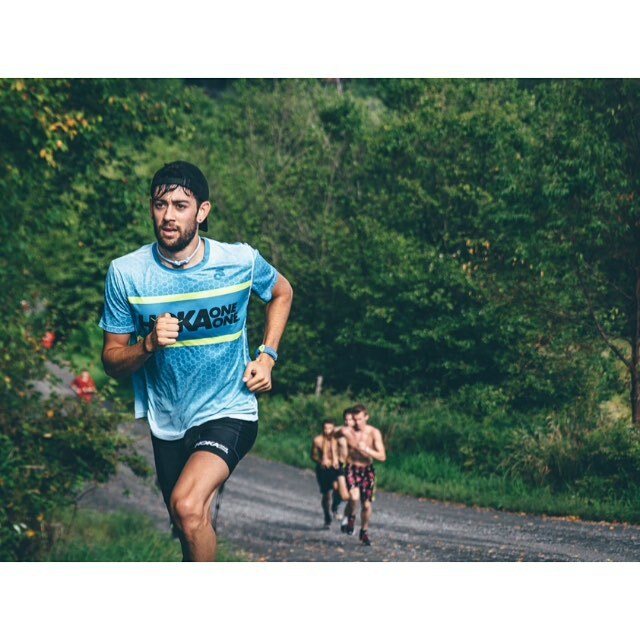 Social media is a fun way to connect with other runners, and fans. It’s an easy opportunity to express myself a bit, and show off who I am to those who may only ever see me race. It gives some insight into the personality behind the times, or at least I hope it does a somewhat accurate job of doing that. Pink isn’t for me. I can do salmon. But not pink.